Which Does a Freelancer Need More? Talent or Determination? Is this you? Do you dream of freelancing, but aren’t quite sure if you are talented enough? Talent is definitely an asset for a freelancer. If a freelancer has no talent at all for what the freelancer is trying to specialize in, then that freelancer probably won’t make it. But determination is important too. It’s very important to want to succeed, Many freelancers give up too early. In this post, I’ll discuss the importance of both talent and determination. Then I’ll invite you to share your perspective. If you liked this post, you may also like 5 Attitudes You Need to Adopt to Succeed at Freelancing. There’s no denying that talent gives a freelancer a competitive edge. Some people are just naturally better at doing certain things. If you’re gifted in your field, you may be able to learn new things more quickly. You may be able to create original work that no one else can match. You may even have brilliant ideas that could revolutionize your field. As a freelancer, you do need to be good at what you do. There’s no doubt that talent does play a role in your skill level. Many people value talent, but talent isn’t everything. Most of us can name someone with a great deal of talent who never succeeded. The question is, what happened to them? Why aren’t they living up to their potential? Which brings us to our discussion of determination. When it comes to success, determination can make a real difference. We’ve all read about Olympic athletes who get up early in the morning to begin practicing and practice almost all day. For example, swimmer Michael Phelps has won 22 Olympic medals. There’s no doubt that talent played a role. But determination also played a role in his success. 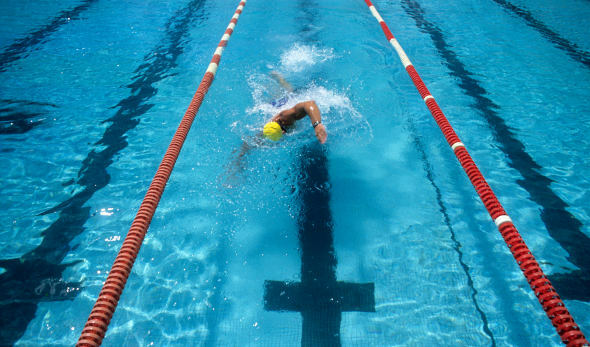 According to a post in the Discovery Fit & Health blog, Phelps swam six days a week for six hours a day. What if Phelps had been less determined? What if he had worked less? Would he still have been as successful as a swimmer? Probably not and it’s no different for freelancers. Freelancing is popular right now. Many people start freelancing. But there’s more to freelancing than just doing something that you love and are good at. There’s a lot of hard work. Keep current in their field. This means training and keeping up with changes. Promote their freelancing business. This means networking, probably blogging, and possibly advertising. Make good business decisions. Freelancers are essentially running a small business. When faced with the less exciting aspects of running a freelancing business, many freelancers quit. That’s the end of it for them–no matter how talented they might have been. For most people, the path to freelancing success lies with a balance between determination and ability. And that’s good news for people who are afraid that they don’t have enough talent. While I would never advise someone to pick a freelancing specialty that they had no ability in, it can be very difficult to measure talent. I’ve seen some freelancers succeed who I personally expected to fail based on what I knew of their talent. Their success was largely due to their determination and hard work. That’s one reason why I frequently emphasize the hard work that most freelancers must do to keep their business afloat. Too many marketers paint a picture freelancing that’s all about living your dream. They make it sound like freelancing is an almost effortless way to earn money, but that’s not the freelancing reality that I know. That’s not to say that there aren’t any positive aspects to freelancing. There’s definitely satisfaction to be found in getting paid to do what you love. Also, freelancing gives you more control over your career, your hours, and your income. Most successful freelancers that I know wouldn’t consider giving it up. Which do you think is more important? Talent or determination? Explain your answer in the comments.